CBD vape oil. Have you heard of it? Of course, you have! That's why you're here! Chances are you are curious about CBD vape oil, what it is, the benefits it could offer, the potential side effects that may be felt as well as the different types of CBD vape oil available. If so, you are in the right place! Below we will touch on each of these subjects more in depth and through this page, you can also find a plethora of different products when you are ready to purchase. Without further ado let's dive deeper into this topic by starting with addressing exactly what CBD vape oil is. CBD vape oil is a liquid substance that contains CBD compounds that can be vaped utilizing an electronic vaping device. CBD vape oil comes in many different strengths, flavors, and brands. Similar to nicotine-infused vape oils, CBD vape oils and CBD e-liquids are utilized through an electronic device. CBD is extracted from cultivars of hemp or Cannabis Sativa L and is added to compounds such as propylene glycol and vegetable glycerin to make CBD vape oil UK. To truly understand the benefits of CBD vape oil, you much first understand what CBD is and how it interacts with the body. Once you have this understanding, it is easy to see how CBD provides relief for so many individuals around the world. Let's take an in-depth look at what CBD is and how it interacts with the body. CBD is scientifically known as a phytocannabinoid. Phytocannabinoids are one of two types of cannabinoids. The other type is endocannabinoids. The main difference between the two is where they are produced. Phytocannabinoids are produced by plants whereas endocannabinoids are produced naturally by the body. CBD being a phytocannabinoid comes from plants and the plants that CBD is most concentrated within come from the cannabis family. CBD is present in many forms of medical and psychoactive cannabis as well as in non-psychoactive forms of hemp. The most familiar cannabinoid to many people is THC. THC is the cannabinoid responsible for the intoxicating effect that recreational consumers enjoy from cannabis. CBD, however, does not produce intoxicating effects in consumers or patients. In fact, it is widely believed and scientifically proven that CBD can even reduce the effects of THC making it a great antidote if someone over consumes a product with THC. How Does CBD Work with the Body? If you have done any previous research on CBD, it is likely that you have noticed it seems to offer benefits for many different things. This leaves many people asking themselves how it is capable of helping so many various ailments with success. The reason CBD and other cannabinoids found in cannabis and hemp plants can help to provide relief for different symptoms, conditions, diseases, and ailments is because of an indigenous mammalian system within the body of every mammal known to humankind called the endocannabinoid system. The endocannabinoid system is often described as being the primary system in the body for helping to create homeostasis. When your body is not nourishing this system with cannabinoids such as CBD, it can cause a lack of communication between nerves and cells. When cannabinoids such a CBD are introduced to your body and absorbed through cannabinoid receptors in the endocannabinoid system this two-way communication begins to occur. Through this communication, your body is able to fight against many different things naturally. While many people believe cannabinoids such as CBD are lacking when it comes to research this couldn't be further from the truth. In fact, there are dozens and potentially even hundreds of studies that have been performed regarding CBD and other cannabinoids found in various forms of cannabis and hemp. The majority of these studies have shown CBD to be a very medically beneficial compound. When it comes to the potential adverse effects of vaping CBD little is known. For most people, CBD can help to reduce anxiety, but there have been few reports where it has actually increased anxiety in consumers. It is thought that vaping is much safer than smoking however the long-term effects of vaping CBD isolate, and the other necessary components to make CBD vape juice and CBD oil are not known. The World Health Organization has deemed CBD as a significantly safe substance, so the chances of it having adverse effects are very minimal. This is especially true when you compare it to the plethora of different pharmaceutical medications that are prescribed for the same exact elements, conditions, and symptoms that CBD has proven to be effective at treating naturally. There are many states throughout the United States as well as countries around the world that have enacted CBD laws that allow patients to consume CBD oil even in states and countries where cannabis is still considered illegal. This could be due to the significant amount of research surrounding it as well as its effectiveness at bringing relief to so many people with a wide range of issues. When it comes to the adverse side effects that may be possible from CBD many people have questions surrounding the consumption of CBD and how it may interact with other medications. The main concern in this area is how the body metabolizes CBD and other medications as well as the effect that CBD consumption can have on the body’s ability to metabolize other compounds. In some instances, CBD can cause other drugs to stay in your system for longer than they usually would. This isn’t good, especially when it comes to medications such as blood thinner. In other cases, however, CBD can actually increase the effectiveness of other medications. For this reason, it is best to always consume CBD at a different time than other medications. By doing so, you will likely mitigate any risks of adverse interactions from CBD oil consumption. When it comes to CBD vape oil UK, it seems like your options for products are almost endless. 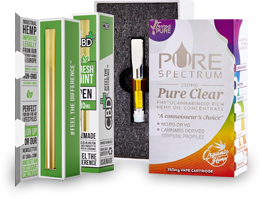 From CBD e-liquid and CBD vape additives all the way to complete CBD vape starter kits there is a plethora of products available for consumers on today's market. Let's look at what CBD e-liquids, CBD vape additives, and CBD vape starter kits are exactly more in depth. 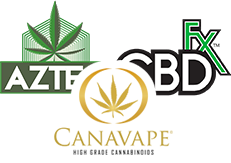 CBD e-liquids are one of the most common CBD vape products on the market today. CBD E-liquids are vapable liquids that contain CBD compounds that are vaped through an electronic device. CBD e-liquids are able to be added directly to the vaping device of your choice and vaped without the need for any additives. CBD e-liquids are also commonly known as CBD vape juice. These liquid substances come in a variety of different potencies as well as flavors. Like with starter kits for almost any other product available CBD vape starter kits include everything you need to start vaping CBD! Often starter kits include an electronic device for vaping and a bottle of CBD E-liquid. Sometimes they are merely an all-in-one disposable product that is filled with CBD oil that can be vaped directly out of the package. Other times CBD vape starter kits will include an immaculate set of components and accessories as well as vape oil and much more. Vape starter kits are great for anyone who is new to vaping CBD and are available in a wide variety. CBD vape additive is a liquid form of CBD that can be added to vape juices and e-liquids. Many individuals are choosing to vape nicotine based e-liquids rather than smoking tobacco products. This is because as we previously mentioned, it is thought that vaping is much safer than smoking. For these individuals, CBD vape additives are a great way to enhance their vaping experience with added benefits. 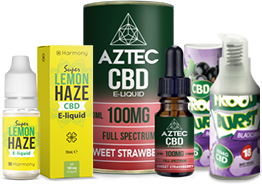 While some CBD vape additives are unflavored there is a wide variety of naturally and artificially flavored vape additives that contain CBD on the market as well. No matter whether you are looking to start vaping, are looking to vape CBD oil instead of nicotine and other e-juices, or if you are looking for products with CBD that can be added to your favorite brand and flavor of e-juice, you can find it here. CBD is extracted from cultivars of hemp or Cannabis Sativa L and is added to compounds such as propylene glycol and vegetable glycerin to make CBD vape oil. When it comes to CBD vape oil, it seems like your options for products are almost endless. 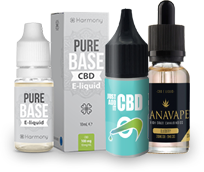 From CBD e-liquid and CBD vape additives all the way to complete CBD vape starter kits there is a plethora of products available for consumers on today's market.